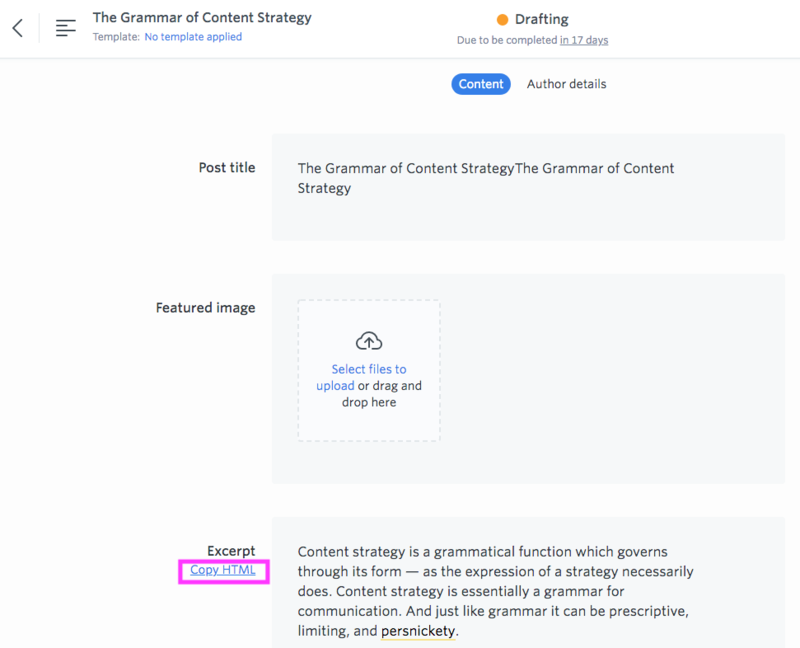 You can view and copy the HTML of content fields in an item, or for the whole item, to edit later on when adding this content to your CMS. To copy the HTML of a field, head into to the item by clicking it's name from the Content tab or Overview tab. 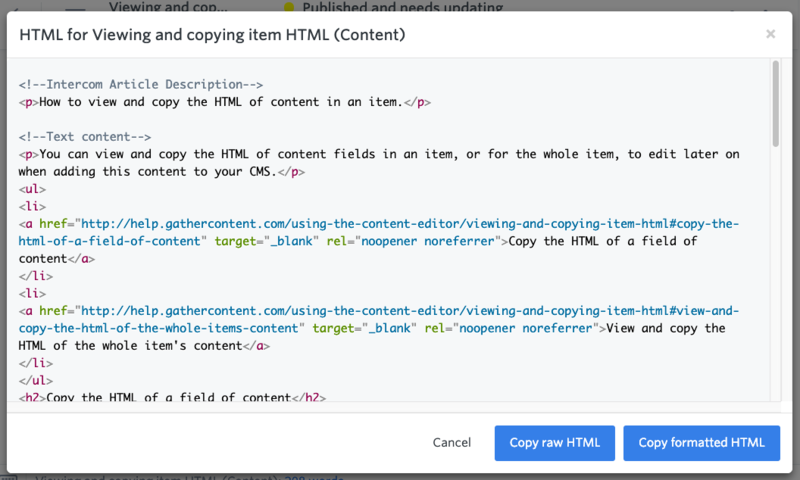 From within an item, hover over the field you want to copy the HTML of. Click the 'Copy HTML' link that appears. You'll receive the raw HTML, which is then copied for you to paste elsewhere. This is then copied for you to paste elsewhere. 1. From within the item, click the Settings menu. 2. From the dropdown, click 'View HTML'. 3. You have two options of HTML to copy: 'Copy raw HTML' and 'Copy formatted HTML'. Click 'Copy formatted HTML' to make your HTML output easier to read. The HTML will contain additional lines around new tags, and each field is separated. 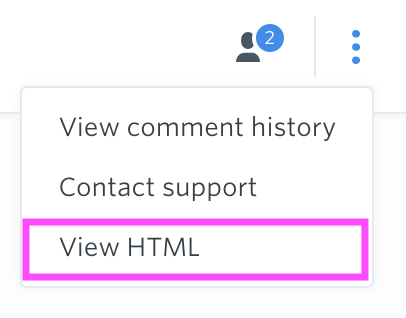 Tip: We recommend that you make any edits to the HTML in your CMS.